Walker Zanger tile. It's classic, eye-catching and completely timeless. Take, for example, the new Duquesa collection: These handpainted tiles, draw on influences as disparate as Italian textiles, Portuguese ceramic tiles, Moroccan mosaics, Egyptian wood inlay and Chinese decorative screens. Each tile is handpainted on a cream background, creating a rich vintage look that fits a home with historical roots or brings gravitas to a newly constructed space. You've seen how prominent large prints have become in fashion and home furnishings, and now Walker Zanger can bring them in to your home's hardscape in an elegant way. The Tangent Collection is a complex line of simple tiles. We think these stone mosaics are going to be top requests for our Atlanta bath remodels! 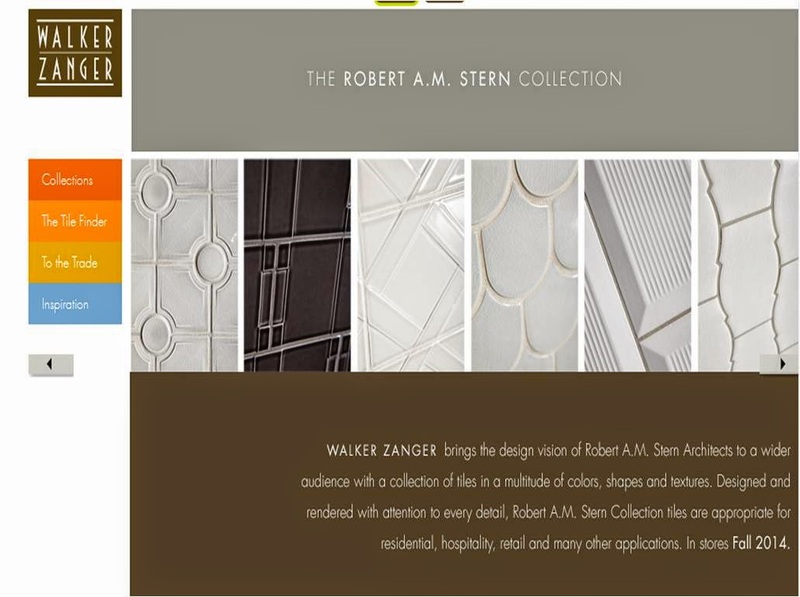 The release of a new line inspired by Robert A.M. Stern architects is set to be released this fall. We're looking forward to seeing the amazing shapes and textures that this line will offer. We think it will be ideal for contemporary or traditional kitchens and baths!